Plenty of people will give you tips on how to succeed in business. But one of the most permeating and effective ideas are to keep a positive mindset. If you think negatively, you’ll often simply discourage yourself and give up too soon. 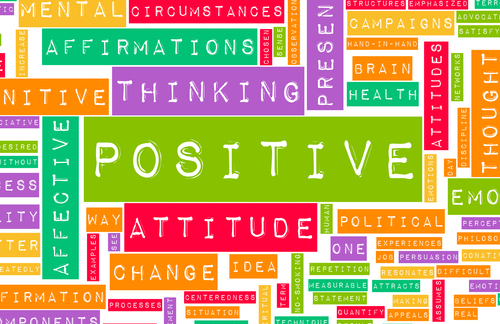 Additionally, negative thinking can ultimately lead to physical and social problems. It can rob you of your creative ideas by invading the brain with toxic thought patterns that will eventually lead you to failure. Keeping yourself positive will encourage you to keep going, keep trying, and eventually succeed. Here are just a few ways to turn your frown upside down and jump-start your success. Start your day with five positive affirmations. The concept is that if you repeat something enough times, you’re eventually going to start believing that it’s true. While it can seem silly when you get started, it’s a proven method of changing your thought processes and giving you a better attitude. If you don’t want to use the verbal method, try listening to someone like a spiritual leader or a motivational speaker who has a CD or a book of daily readings. Either way will help put you in a good mental position to start your day off to a good start. If you are constantly surrounded by negative people who only focus on the bad things, sooner or later so will you. I have learned that usually loved ones who have good intentions are usually judging your abilities or seeing what they think you may experience by their own life experiences. They also look at the possible consequences of the outcome of that which you intent to pursue. So, in your personal and professional life, try to maintain relationships with positive, affirming people who are of the same mindset. Even if they aren’t successful, they live their lives by realistically “seeing the glass half-full”. Eventually, their good attitude will rub off on you. A vision board is a collection of pictures, words or phrases that you put together on a board or computer screen to help keep you focused on the visions and goals that you have set for your personal/professional life. It reminds you of the things that you want to achieve, accomplish going forward. This is an excellent tool to incorporate into your daily routine. When you routinely review your board, you will actually begin to experience those things happening! Take a moment to think about why you’re doing what you’re doing. Is it to make money to buy your dream car, or is it to make enough to send your children to college? Whatever it is, keeping your goals in mind will help motivate you to work harder and keep going. It will keep you thinking about the good things that will happen from your work instead of your current setbacks. So how do you keep these goals in your mind? Visualize them. If you can picture them, they’ll be more real and tangible to you. This is where your vision board can be helpful! To help you visualize, you may want to put visual aids in your work space. Your computer screen is a good place to start or you could find a free piece of wall space and put pictures of your goals in that space – whether it’s a picture of the car you want, the house you want, or even just a picture of your children. Depending on your personality, staying positive might take some work, but it will be worth it in the long run. Great article, I love it. Great information and I’m going to try these.